Published on February 25, 2014 in General Interest. 0 Comments Tags: Home Corp Group, Ron Bakir. Let’s face it – we all have bad days at work and want to quit – but is starting your own business the way to go? Starting a new company is always exciting; in your mind (and in your heart) you hold an idea, bursting with promise and closely held dreams, all you need now is a healthy injection of capital and a business plan. Being an entrepreneur is a state of mind and a constant evolution of personality and professional presence; whether you’re from the wrong side of the tracks or the critical side of the news, you can still turn your life around, much like Ron Bakir, a prominent Australian business figure. While the news cycle has moved beyond the nine to five model of the traditional media golden years, it is possible for aspiring business owners and empire makers to stay out of the wrong side of the spotlight and genuinely carve out a lasting place in their chosen industry. How does one achieve this monumental task, when all of the cards are stacked against you? Be Honest: Are You Ready For This? A new venture is seductive, a powerful mechanism of possibility requiring the utmost care and attention; it can make you, break you and tear you down before you know it. You need to ask yourself very important questions, such as: Why do you want your own business? If you’re searching for new ways to make money, from a quick buck to a sweet million, enter the lottery instead. Business, start-ups in particular, aren’t about making yourself feel important. Instead, successful start-ups come from passion, determination and a belief that the service you provide will change people’s lives for the better in some way. You need to love what you do or what you envision yourself doing; this will become your life. You will eat, sleep and breathe this new commitment, 24/7/365. You need to be 1,000% sure this is what you want – once you take the plunge, there is no turning back. Simple ideas often work best on the entrepreneurial level, as innovations represent a smarter choice for consumers who are getting more savvy, demanding and sophisticated. Even though the temptation to think big and action lots of new ideas may sound like a good idea, there is no faster way to shoot yourself in the foot. It may seem boring at first to focus on one great idea, but trust me, once you come up against all the roadblocks and obstacles out there, you will have more than your hands full and the battle won’t be anything close to boring! Too many (different) ideas are also confusing for your (target) audience; they don’t want to think too much about your service, it should provide for their needs and wants on a subconscious level, appealing to their basic needs. 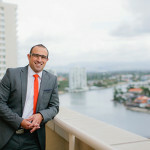 Ron Bakir has experienced modest success doing this, identifying potential market opportunities after observing building industry and mining trends. The M&E in Team: Should You Fly Solo? Team work is an essential skill and component of every business but before you start advertising in your local paper and post an online advert searching for the best and brightest talent, hold on for just a minute. What skills do you need to make your business plan/concept a reality? What can you realistically take on yourself and what can you outsource? Would it be more cost effective to hire freelance experts on retainer until your business becomes more established? What can you afford? Paying staff low wages and skimping on benefits to save a buck here and there is not a path to success. You are better off with a smart, strategic growth plan than penny-pinching your way from the starting line. Have you experienced the highs and low of being an entrepreneur? Do you have any of your own wise words to share with the innumerable would-be visionaries out there? Let us know in the comments below. This is a guest post – if you would like to contribute an article to be published in our of our blogs, please contact us.